Cricket Beyond Boundaries helps young impoverished children by giving them opportunities to play cricket and spend time at leading educational establishments in the UK, using cricket as a vehicle to transform lives. 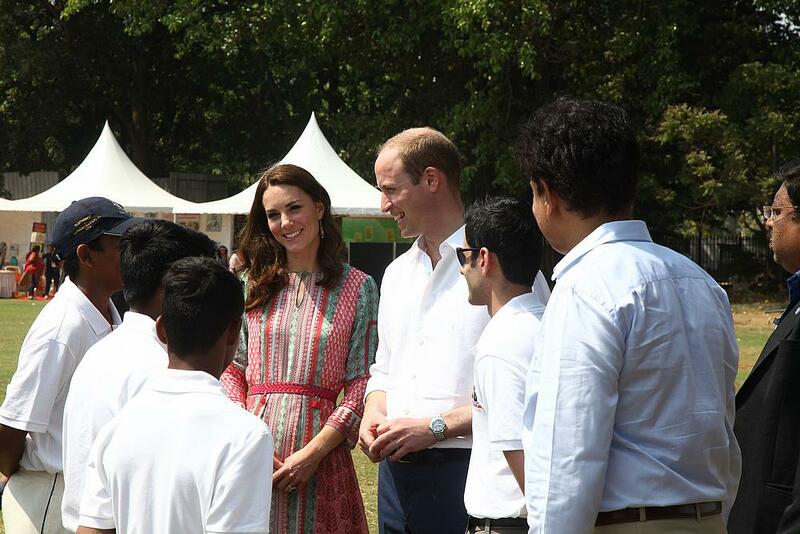 During the Duke and Duchess of Cambridge’s first official visit to India, they attended a cricket match on 10th April at the famous Oval Maidan in Mumbai, where thousands of young children meet to play cricket every day. This event was hosted by Indian cricketing legends Dilip Vengsarkar and Sachin Tendulkar, at the Vengsarkar Cricket Academy. 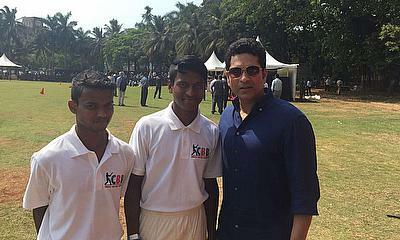 Both Vengsarkar and Tendulkar support the UK-based charity, Cricket Beyond Boundaries (CBB), which uses cricket as a vehicle to improve the lives of young impoverished children. Cricket Beyond Boundaries was establised in 2011 by Dr. Samir Pathak; now a gastrointestinal surgeon, he represented England Universities in 2004 and is a current playing member of the Marylebone Cricket Club (MCC). 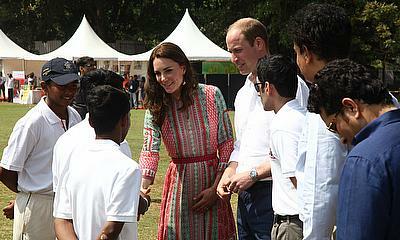 He understands the impact that education and sport can have on children coming from underprivileged backgrounds. "The purpose of this scheme is multi-faceted," said Lord Bhikhu Parekh, who like Vengsarkar is a patron of the charity, adding that "young cricketers benefit via exposure to different cricketing approaches and from playing and practicing in different conditions against a variety of opponents." "More importantly, the boys are exposed to different cultures, life experiences and the classroom which, combined with their cricketing experience, should hold them in good stead for their future endeavors," he continued. 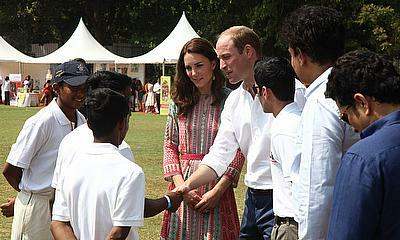 Pathak himself believes that "education combined with cricket empowers these youngsters to fulfill their potential." Since its inception, Cricket Beyond Boundaries has facilitated the visit of 18 poor young talented Indian children to not only study but also enhance their cricketing potential at leading UK schools such as Durham school, Cheadle Hulme, Denstone College and King’s College Taunton. One such cricketer, Sarfaraz Khan, is now playing for IPL team Royal Challengers Bangalore and also the India U-19 team. 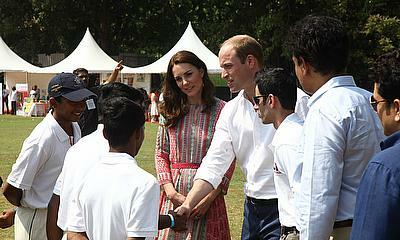 A string of former and current India cricketers have been impressed by the impact of the scheme. Both Dilip Vengsarkar and Ravichandran Ashwin already send young cricketers to the UK via CBB. Sunil Gavaskar and Sachin Tendulkar have attended previous fundraisers for CBB while others like Saba Karim, the former India stumper who is now a national selector, and Nilesh Kulkarni and Sahil Kukreja (former Mumbai opening batsman), have also weighed in with their inputs. This summer the charity will see four young cricketers coming to England. One of the youngsters, Rupesh Borade, who is an orphan from Chembur Children’s Home, already visited the UK last year where he both studied and trained at Durham School. Rupesh witnessed the suicide of his parents (due to extreme poverty) at the tender age of six. This opportunity has allowed him to forget his dark formative years and embrace a future of unbridled opportunity. This year he will be returning for a longer stint, alongside another orphan cricketer from the Chembur Childrens Home, both of whom are coached by Kukreja. In fact Durham School were so moved with the plight of these cricketers that they donated £2,000 so a clean water fountain could be built at the home. Both youngsters were present at the event on Sunday April 10th, alongside Prithvi Shaw, another child prodigy who has benefitted from the scheme. There are two other cricketers coming to the UK this year from the Vengsarkar academy in Pune and from Ashwin’s academy in Chennai.